A rich history of the shared sharing culture of food and hip-hop: how it’s evolved and how it’s remained the same. The art of sampling and mixing in different flavors and taste is something that is at the core of hip hop and food culture. It has created such an ability to make food and music inventive and reinventive over and over again. Furthermore, it creates connection between multiple, different, beautiful points--- inherently celebrating diversity --- and is fundamentally founded in sharing and discovering. Let’s take a dive into the history of both tapas and samples and see what they share. A tapa is defined as an appetizer or snack and originated in Spanish cuisine. Tapas can be cold like a spread of olives and cheeses or hot like croquettas. The word “tapas” is derived from the Spanish/Portuguese verb “tapar” which, interestingly enough, means “to cover”. 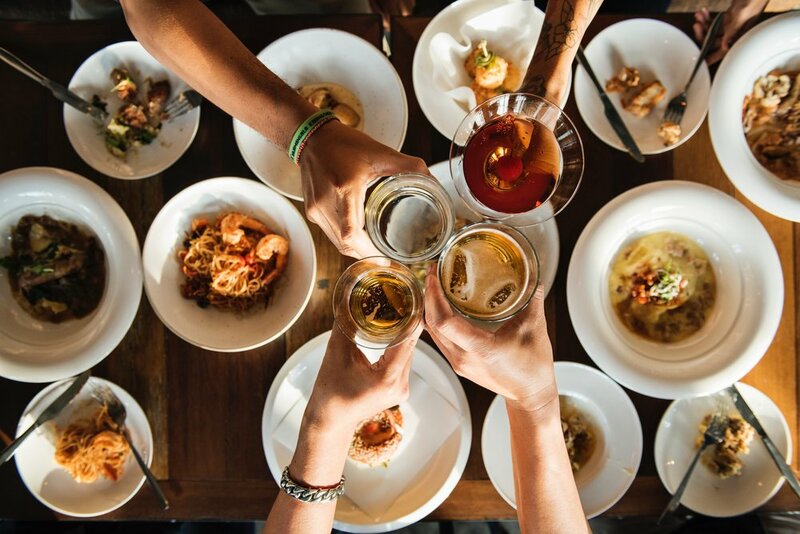 According to The Washington Post, “some say “tapas” was derived from the practice of covering a glass of wine with a bread slice or small plate to keep out fruit flies. Others say it dates to a 17th-century king who ordered tavern owners to cover wine servings with a snack meant to ward off drunkenness. Still others say unscrupulous innkeepers used to offer strong-smelling cheese bites to cover the smell of bad wine.” Some note that in pre-19th century, Spanish tapas were served by posadas (hotels and inns) and bodegas (neighborhood grocer, wine shop) for travelers. Because few innkeepers could write and few travelers could read, they offered guests a sample of dishes available Whatever the true origins for the naming, tapas have a rich history with roots in Spain and have made a huge impact of foodie culture today. Tapas dining has now been more broadly adopted by today’s food scene as “small plates” --making it cuisine-agnostic and mega mainstream. Speaking of today’s food scene, we have to acknowledge some real demographics that are heavily influencing tapas demand. Millenials, as defined as those born from the early 1980s all the way up to mid-1990s and early 2000s, are hitting restaurants at higher rates than any generation before them. What does this mean for the dining experience? Dining experiences tend to be widely accepted as social and to be shared. While sharing is encouraged, people have more food preferences than ever before (with the introduction of options galore). Enter small plates and you have a boom for this particular, share-centric, foodie population. In 2014, Food Institute put out a study reporting 44% of this cohort who grew up in hip-hop’s golden age -- spends their food dollars on dining out. The small plates revolution has paved the way for restauranteurs to subtly (or not so subtly) encourage conservative consumers out of their comfort zone and into a more experimental environment. It’s also created more room for seasonal menus, fusion foods, and more intentional socializing/sharing. Socializing and sharing has been a huge part of hip hop culture as well. Instead of tapas sampling think music sampling. In music, sampling is the reuse of a portion or sample of a sound recording in another recording. Samples may comprise rhythm, melody, speech, or other sounds, and are integrated using digital hardware or samplers and software such as digital audio workstations. Back in the 1940s, there was a process similar to sampling that originated with musique concrète, experimental music created by splicing, manipulating and looping tape. The term sampling was coined by in the late 1970s by the creators of the Fairlight CMI, an influential early sampler that became a staple of 1980s pop music. 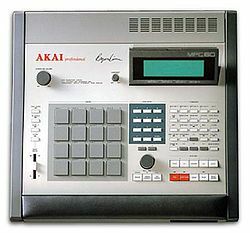 In 1988, the release of the first Akai MPC, an affordable sampler with an intuitive interface, made sampling way more accessible and had a major influence on the development of electronic and hip hop music. Sampling is a foundation of hip hop music where producers used influence from funk and soul records, particularly drum breaks, which rappers could then spit and flow over. An example of an entire album of sampled records is DJ Shadow's 1996 album Endtroducing. James Brown, Kool & The Gang, and Nina Simone are all very popular funk and soul artists that are frequently sampled in classic hip-hop tracks. In 1986, three tracks, "South Bronx", "Erik B is President" and "It's a Demo", sampled the funk and soul tracks of James Brown, particularly a drum break from "Funky Drummer", helping popularize the technique. Sampling in hip hop is bigger than just gathering inspiration from earlier funk and soul phenomenons and hits. In hip hop culture, taking existing culture and reusing it in a new context or format is called "flipping". Hip hop music follows in the footsteps of earlier African-American-rooted musical genres such as blues, jazz, rag-time, funk, and disco to become one of the most practiced genres worldwide. KRS-One really describes the drive behind the culture and explains, "Hip hop is the only place where you see Martin Luther King Jr.'s 'I Have A Dream Speech' in real life." KRS-One is known for proclaiming that hip hop transcends race, gender, or nationality; it belongs to the world. That’s a world we can step into. To celebrate tapas and samples, we’ve curated and shared a new playlist called tapas & samples that is dedicated to all the amazing samples that have served us the best tracks in hip hop music of all time: from The Meters and Otis Redding to Norah Jones and Adele. We also have a list of some must try tapas restaurants coast-to-coast in America’s most definitive hip hop cities: New York, Philadelphia, Chicago, Atlanta, and Los Angeles.